White Water is full of seasoned muso’s with years of experience. 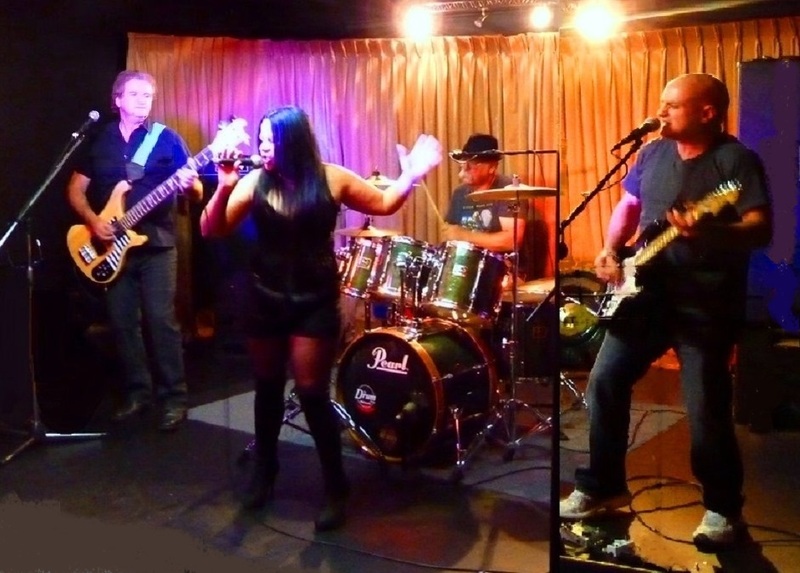 You’ll find Donna ( Pepper ) Moy on lead vocals… she’s at the front with big a big rock chick voice, and even bigger personality. Dave Gilchrist is on Lead Guitar and Vocals, and is just back from recording and touring in Germany. Brad Ross you’ll find on Bass and Vocal. You’ve seen him in many bands, such as Frogmouth & Daddy Long Legs. And finally John Sawyer on Drums and Vocals, is one of the founding members of Iconic Oz band the Saints. Their sets consist of songs from Janis Joplin and the Doors to Baby Animals and Divinyls. Dont miss it!